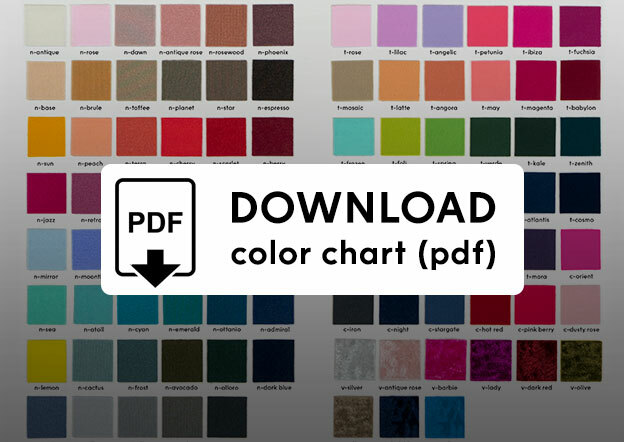 For the most realistic display of colors on a screen, download the color chart PDF. The colors displayed below may not reflect the actual color due to several variables including screen type and backlight. Can't decide on the right color or fabric? Order 3 color samples! Or you can download the more realistic Color Chart PDF.